Our good friend&apos;s over at Allen & Heath decided to drop a gem on us with the new Xone:DB2 professional Effects Mixer with full MIDI control capabilities. I was able to get the Xone:DB2 in the lab for a nice long test run to put it through the paces and see how it handles. This is our first 4-channel style mixer review here on DJbooth.net as we mainly focus on hip-hop style DJ&apos;s, but how could I turn down a DB2? Check out the full HD-Video review inside to see how it stacks up. 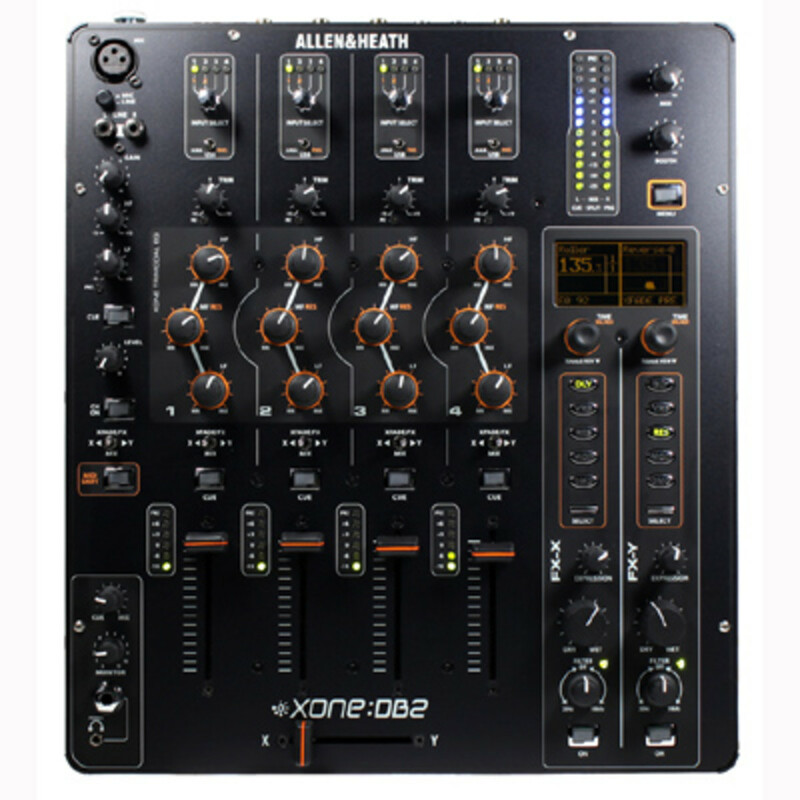 The Xone:DB2 is a super-high quality, professional-grade club and studio installation mixer that is perfect for Effect-Heavy and Mixing DJ’s who need a large amount of inputs, functions, and other options right at their disposal. Here on DJbooth.net we don’t usually review High BPM specific “mixing” style gear since we mostly specialize in hip-hop music and equipment, but there was no way I was going to pass up the opportunity to test out such a truly great product. 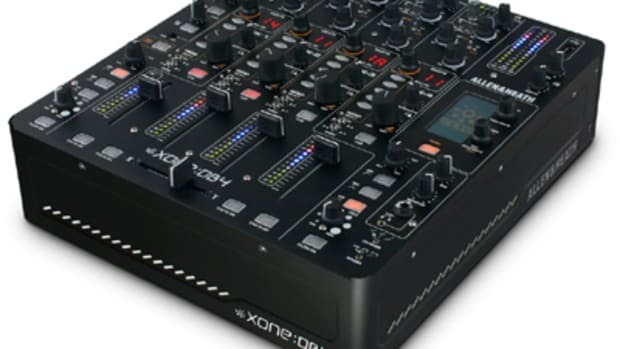 The Xone:DB2 is known as the “little brother” version of the Xone:DB4 mixer, but there is really nothing little about this mixer at all as it still has the more important key features that made the Xone:DB4 a huge hit. 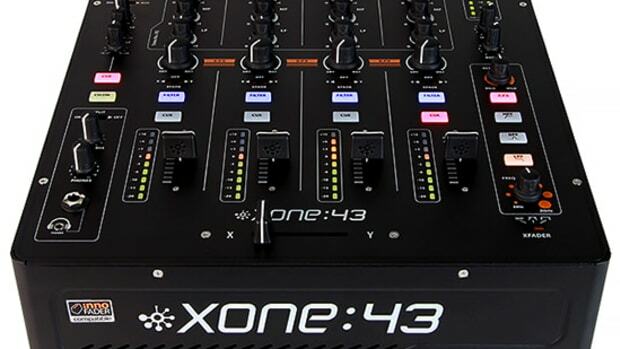 The Xone:DB2 is a four-channel mixer with a thin aluminium metal chassis and a lightweight but durable build that is sure to last through the ages while still keeping the weight down for those who need to take the DB2 on the go. 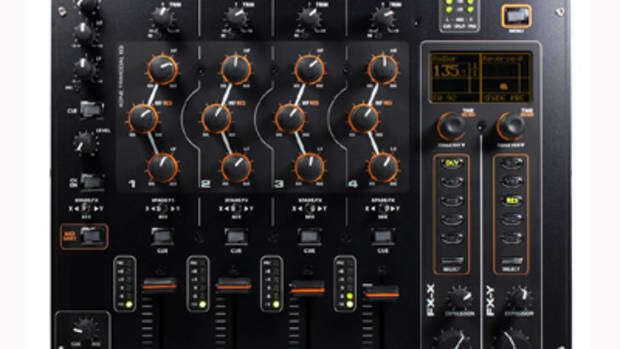 This is official Club-Installation Quality on this mixer and it will take a beating and keep going making it very ideal for Mobile DJ’s as well. The sound quality on this mixer is just as good as the build quality. We tested this mixer on our setup and the sound quality was incredible. This mixer also boasts a highly visible OLED display that shows the FX section, BPM, and other menu setup functions. The Xone:DB2 Mixer has an awesome Input Matrix that was borrowed from its bigger sibling the Xone:DB4. The Input Matrix basically allows DJ’s to assign a particular input to a particular channel. There is a metal knob at the top of each channel to control or assign an input to a channel. The user can also select whether the specific channel will use the Digital, analog, or USB input type using the 3-way position toggle switch found above each channel. 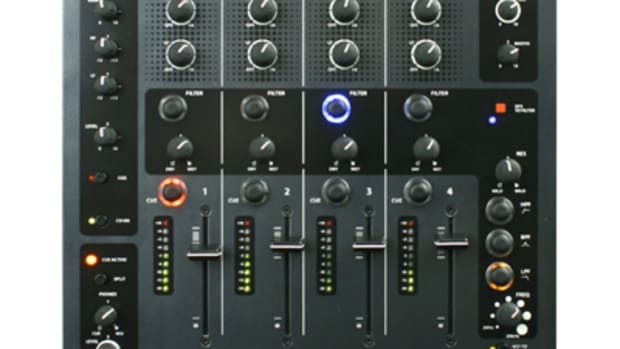 This can also be done on the fly and in the middle of a DJ set, so that the user can run a hybrid combination of software/virtual decks, analog turntable or CDJ decks in the digital output all while changing which channel will control the input source of choice. The Line faders are made of top quality as well, with the line-faders being extra-long for the mix minded DJ’s that need to accurately control the volume levels of each channel. The line-faders have good resistance while the crossfader has a bit less resistance and is also a bit shorter. The Crossfader wasn&apos;t very accurate in the scratching department as there was a relatively long cut-in distance making it more difficult pull of most advanced scratching techniques. This is probably a non-issue for most buyers as the main purpose of this EDM-style mixer is for mixing and not scratching. There is a Trimodal 3-Band EQ found in the Xone:DB2 has three different modes and is dubbed as the Trimodal EQ. The three modes are Standard Asymmetric EQ (normal 3-band non-kill), Total Kill (3-band kill mode), and High-Pass/Low-Pass Filter mode where the High and Low EQ knobs work as respective filters while the Mid knob works as a resonance adjustment. The Effects section found on the Xone:DB2 may be one of the best ever to be featured on a mixer which boasts over 50 effects in total. There are two different modules (X and Y) that can be used one at a time per each channel. You can use both effect modules on one channel if the user uses the input matrix to mix in both effects on the same selected channel. Each module has it’s own filter knob, wet/dry knob, expression knob and a list of five categories of effects that are toggled on and off by the illuminated button. These buttons are listed as Delay, Reverb, Resonance, Modulation, and Damage and each effect has a subset of effects and parameters that can be tweaked and adjusted using the OLED screen to make changes. The timing of these effects can also be adjusted using the Time knob at the top of this section. There are so many possibilities with the effects section that it will never get old! I’ve spoken to big club DJ’s who use the Xone:DB2 as their personal remix station and they are all really blown away by the control and manipulation of the effects in an actual club-use environment. 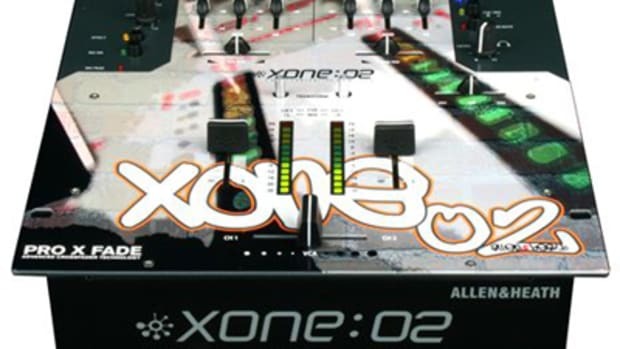 The Xone:DB2 can also be used in MIDI mode meaning that when the MIDI SHIFT button is activated, the Xone:DB2’s buttons, knobs, and faders are all capable of sending MIDI data to a DJ software of your choice. The best part about this feature is that the DJ can toggle between MIDI mode and Normal mixing mode and the parameters and settings will remain unchanged. This feature allows the DB2 to also be recognized as a full out MIDI controller for most DJ software on the market today. There were a few minor gripes that I found with the Xone:DB2. My first issue was that some quick analog controls were buried inside of the Menus on the OLED screen instead of having a quick knob or switch to control these functions. The next issue I had was with the crossfader. 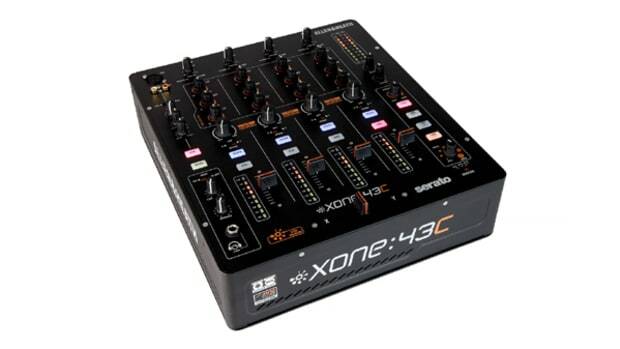 I know that the Xone:DB2 isn&apos;t meant for scratch or hip-hop style DJ&apos;s, but it would have been nice to see a crossfader in the unit that is capable of performing on-par with some scratch mixers out there, especially given the high retail price of the unit. The final issue I had with the Xone:DB2 is that there are less inputs and outputs than what is found on other competitive mixers within the same realm of price and features. 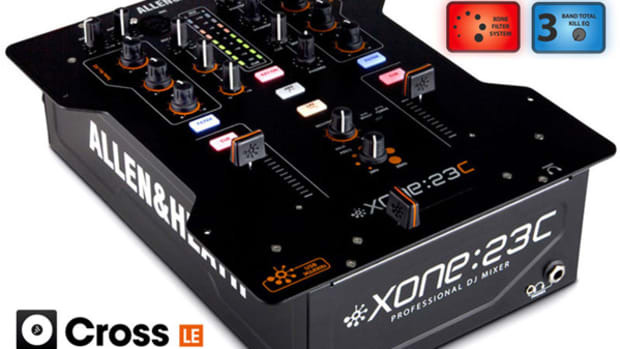 In Conclusion, the Xone:DB2 mixer is truly an excellent piece of PROFESSIONAL DJ machinery that has one of the best on-board effects section, top-quality build and sound, MIDI capabilities, and just about every other feature that the high BPM style mixing DJ’s would want. The Xone:DB2 costs a lot of money at $1800 retail, but when you compare that to the price of the Xone:DB4 and considering the amount of features that the DB2 borrows from the DB4, it’s almost a bargain! There are a couple minor gripes here and there, but none of them should really prevent an EDM style DJ from purchasing one of the best mixers on the market for the intended use. We recommend this mixer to any Professional DJ that wants tons of effects, tons of input options, and full MIDI control all in one unit. We also recommend this mixer for Mobile DJ’s and Club installations where top quality in sound and build is the most important.